Well, we got to the races early, no problems on the way, and the sun decided to make an appearance. Our first point of call was to purchase a race card. Anticipation running high. Would we pay for the day - one good win will save the day! On the contrary, going racing can be a great family day out. It can be fun and interesting for kids and first-time racegoers alike. There is so much to take in and learn. The number of times people have approached me on course or in the stands to help explain something in the race cards they just don’t get or understand. We’ve got our information book (race card), now we're off to find a nice place to sit and enjoy a drink, a cup of tea for me, coffee for Nan (whose doing all the studying), and a fruit shoot for our little granddaughter. It's her first time at Uttoxeter. Of course, the majority of the crowd go for something a wee bit stronger. The first race is approaching and we make our way to the parade ring, there is a pre-parade ring where you can see the saddling area. I would suggest on your first visit to try it out. As the horses leave the pre-parade ring one by one they enter the Parade ring proper. The area is full of people holding race cards looking at each runner. ''He’s big and looks ready, doesn’t she look superb,'' you hear all kinds of comments. In the parade ring are all the owners and connections proudly eyeing their charges. The jockeys arrive in their owner's colours. On an educational point, all this can be made interesting when explained to a child, the why and how owners choose the colours, how they even choose the horses name. The history, there is so much more than placing a bet, watch the race win or lose. Back to the jockeys having entered the parade ring, making their way over to the owners, shaking of hands, last minute instructions from the trainer. Then the bell is rung and “jockeys mount” is called. One by one the horse and jockey go through the gates to enter the course and canter to post. All the racegoers walk to find their watching point, last minute bets are struck. We’re getting close to “off” time one last chance to see your horse canter past the stands. There’s a buzz going around the course everyone is ready “They’re OFF is heard the crowd roar. Next time the race itself. “What’s it all about Alfie” is a phrase I use much too often, it comes from the 1966 film Alfie. Cilla Black sings the song for the film. The song and lyrics by Burt Bacharach and Hal David were originally for Dionne Warwick. Album: Here Where There Is Love Well, “What’s it all about” (don’t start rambling again). I thought it would be a good idea to do a weekly write up of past 2-y-o races. I do this for myself and my records (spreadsheet). This year, I thought I would share some of my inner thoughts. When I say some of, don’t think I’m saving something for myself. It’s just that you don’t want to be bogged down with everything that processes through the sewer that is my brain (Cognition “the mental action or process of acquiring knowledge and understanding through thought). Also, it would be a very boring Tome. That Was the Week That Was, was another title I thought of using, unfortunately, copyright may stop me as it was a satirical television comedy programme on BBC Television in 1962 and 1963 presented by David Frost. I just can’t escape from the 1960s. The Derby was won nine times by Lester Piggott – Never Say Die (1954) being the first Well I got out of the 1960s but the wrong way, fast forward to the present day and stop this incessant rambling. Monday 1st April: Up to present we have only had three 2yo races. The first was at Naas on the 24th March, which I have posted two blogs. The other two races being Friday 29th March 5:45 Dundalk and Saturday 30th March & 4:10 Doncaster. Six sent to post. The winner Ickworth trained by W McCreery rode by W J Lee. For the Trees went off the favourite, was slow to start and gave no signs of pressing never near The winner Ickworth coming from last years winning trainer-jockey combination was prominent throughout. 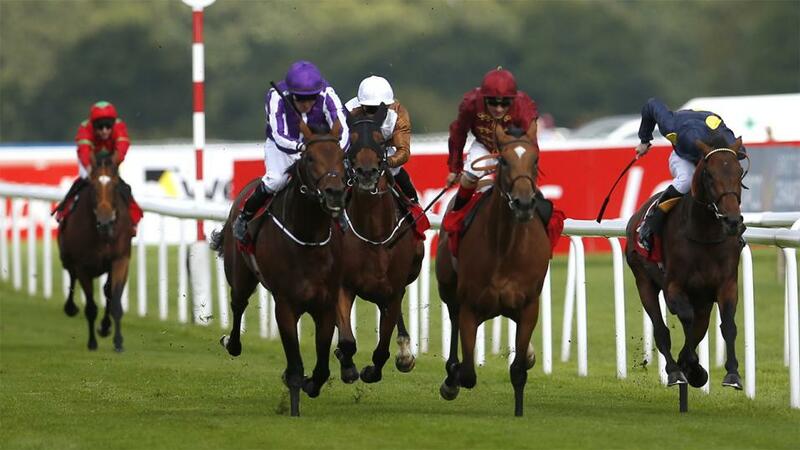 The second, Moments Linger, was bumped at the start, came on strong the last furlong, but the winner had her held. The trouble with statistics is how we interpret them. In the table above, if we only note how many winners each trainer has, ignoring the runs column, it doesn’t read well for the first 2 trainers. Do we alter our thoughts when we know that they mainly have runners in Ireland? All 3 trainers are showing between 9 -13% win ratio, however, after seeing the wins to runs you would think you’ve a better chance with McCreery and O’Callaghan because their runs are low. Or perhaps not, it's all in the eye of the beholder as they say * 1 runner in GB and both losing. ** 4 runners in Ireland all losing. Well, what can I say, I missed the clues on that one (Naas 24th March). With the race being a bit of a guessing game and the main racing websites offering different selections: Ampeson (ATR), Value Chain (IR and RP)... However, Timeform did give the 1: Red Epaulette 2: Never Mistabeat 3: Value Chain. See the full result here. 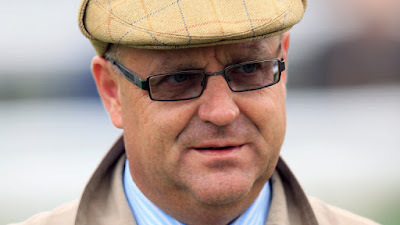 Leigh (Roche) said: ''The ground is quite holding and that his class got him through'' (from the Racing Post). My assessment of the race, although my own findings, some of my thoughts may be similar to other race reports. We did see the same race and with video playbacks available these days it is inevitable. The going was yielding to soft, there was one non-runner Ernie T (skin rash). When doing a review, the norm is to look at the first 5 or 6 places and most write-ups will feature these horses. However, I tend to look at the horses that were more than 10 lengths behind the winner. In handicapping terms that would be 30lbs inferior, using a 3lb value per length for a distance of 5 furlongs scale. I watch the replay over and over again and to me it as important to discard horses as much as noting a future winner. Remember there can be valid reasons for what appears to be a bad run. I have found over the years that eliminating up to half the field in a race is an advantage although please note NOT a certainty. Never Mistabeat: The King Of Kells: In From The Cold: Ampeson: Lequinto would have to improve next time out before I would discard. I always give a chance to prove me wrong. I realise going forward some of the many horses I discard may win a race, I don’t mind missing the odd winner now and again its the percentage game. The winner Red Epaulette, was the second winner Michael O’Callaghan has had in the last five running of this race he travelled well following the leaders until a furlong out then sent into the lead to win by over 3 lengths. He looks one for the future on better ground and over further. The two fillies did well to finish in the first five with Feminista being placed 3rd and Capel At Dawn (5th). Ballyare (4th) ran well throughout. The horse I shall take out of this other than the winner is Capel At Dawn (5th. Slow away, making steady progress when she got the hang of it, improved in the last furlong. I'm not sure if the two in front of her eased slightly because she appeared to be going as fast as the winner in the final stages. I’m sure there will be more to come. Sorry but I do ramble on don’t I? As the 2-y-o season progresses, I hope to give my views (through my fading eyes) on what has happened in the previous week. 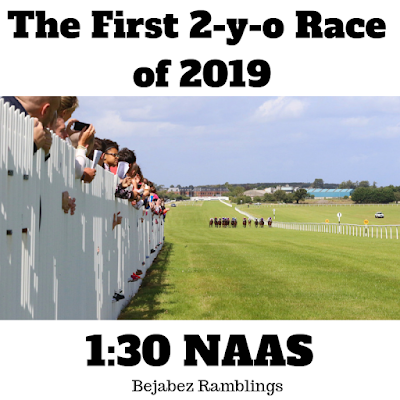 The first 2-y-o race of the 2019 season is almost upon us. I love the 2-y-o races mainly because there is no racecourse form, to begin with, and you can build your own. From day one, the form and therefore the interpretation of it is in your hands. You can follow the racing paper tipsters or daily papers or a good website, however, what could be better than doing it yourself. I’m not saying that you have to compile your own handicap or time books. The game is more than that the thrill and enjoyment you can get, like me, from assessing your own races is great. Pure elation when your selection not only goes on to win the race, giving you a financial incentive to study more, learn to assess more eventually giving you a euphoric activity. Must stop rambling. 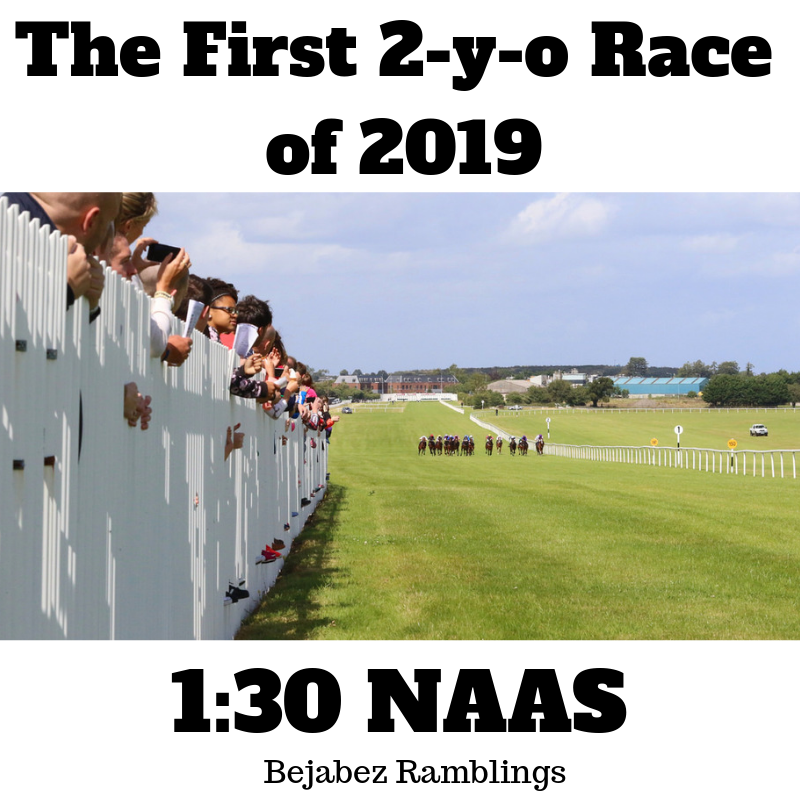 Now, what was I saying, oh yes the first 2-y-o race of the season at Naas racecourse. How can you expect to find a winner in a race of 12 runners that are having their first outing on a race track? You remember your first day at school or work (anywhere that was new to you). You may be the type of person that gets nervous at the thought of meeting others. On the other hand, you could be the leader and just stride out with confidence. Well, these first-timers are similar, and some trainers tend to be better at schooling and getting their charge ready to perform first time out than others. Of course, the horse's temperament also comes into play. This is where the pedigree may help. Pedigree: does it really help with this type of race? 5f (plus 10) galloping track with the stiff 4f uphill finish. Well, it’s time to let you enter my thoughts! Be warned, it's not a good place to go. There will be twists and turns, perhaps the odd wander here and there. Where to start? OK, there are 12 horses, 12 trainers, 12 jockeys (yet unknown) as stated above, none of the horses has previous runs (no form) The winning trainer last year was Brendan Duke (Value Chain). His stable is 11 miles away. His record for 2yo at Naas is one win & second place from twenty-four runners. For those who think the distance travelled is a factor, Ernie T travels 130-mile, Amperson 120 mile & Lequinto 113 mile. 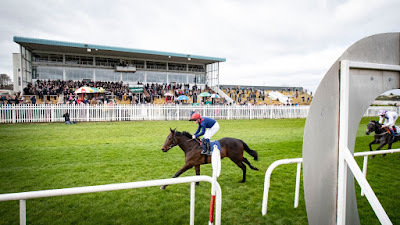 One of the top trainers at Naas is J S Bolger who trains Feminista one of two fillies in the race, the other being Capel at Dawn, trained by Adrian Keatley, again, 11 miles away. Both fillies are by Dawn Approach who had 10 2yo winners in 2017 and 16 in 2018. 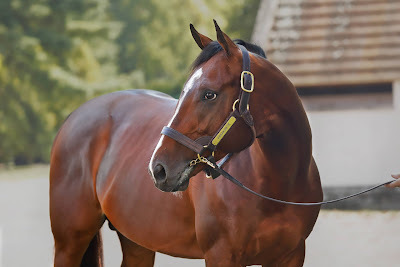 Its pedigree goes back to Northern Dancer through New Approach, Galileo. 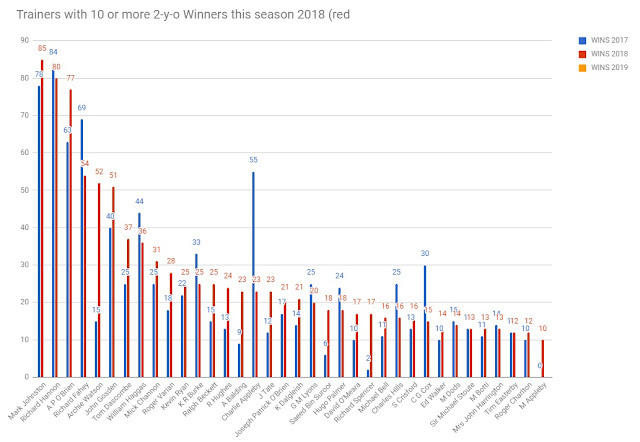 There are two First Season Sires (FSS). Hot streak (Ballyare) and Anjaal (Captain Corcoran). Looking at the sires in this race only one other stand out to me Elzaam (Never Mistabeat). 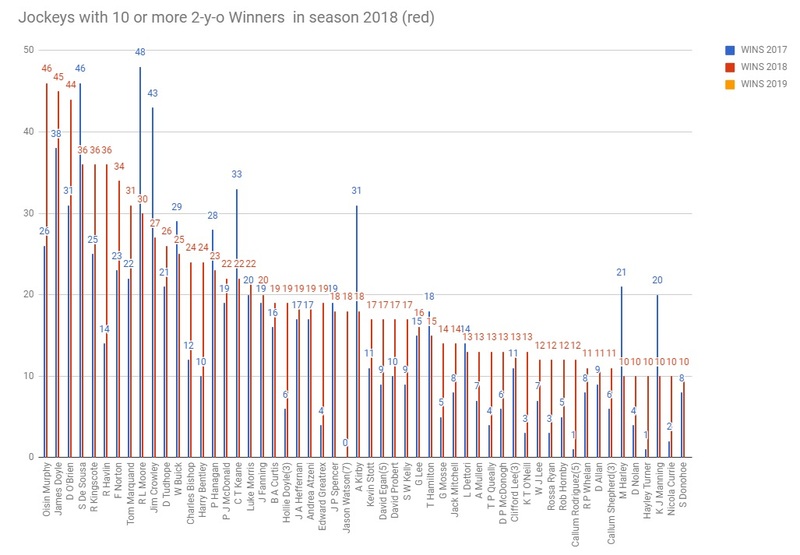 Sire Elzaam had 9 wins in 2017 and 14 wins in 2018. Let's hope his win ratio improves again this season. Talking of sires, which I tend to do, Mayson (21 wins 2017, 16 wins 2018) is one I like. He’s represented by Amperson in this race. I worry that the trainer Richard O’Brien has not had a 2yo winner in 16 races. I did say I tend to jump around a lot when assessing a race. Not surprising in this race I can’t really recommend anything and, in reality, could have stated this at the beginning of this blog post. However, I thought I would try to explain some of the things I look at. I’m going for a beer. In this race, there are enough factors to make it a very interesting race for me. The two First Season Sires I’m really looking forward to seeing (video) the Ernie T run. The pedigree going back to Giants Causeway suggests he will want further later and probably be a 7-8f horse, who knows. In summary, I’m down to three runners: Ernie T, Never Misabeat and Feminista (although she is taking on the boys). Oh dear, I forgot about J P Murtagh training Captain Corcoran. I shall have another look when the jockeys are declared then it might be all change, who would have thought a little race of unknowns would have given me so much fun. Looking forward to the New 2-y-o Season. 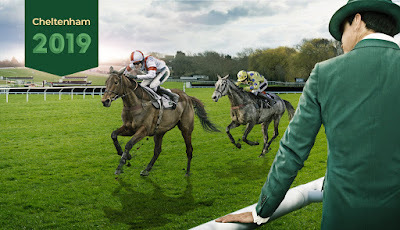 Bejabez Ramblings - Female Jockey to win the Grand National? When I was a youngster back in the day my dad, God bless his soul, would always encourage me to get back up again after a fall. I seem to be doing this quite a lot lately. Here’s many an old quote from Dad that makes me smile and come to mind when at the races. None more so than: “They get now’t for second!” as I am tearing up my ticket up after “Weighed In! Weighed in!” broadcast over the tannoy. My father passed away at the turn of the millennium, just two months before his Great Grandchild was born. A girl that he had always wished for, all boys up till then. This little girl would have been spoilt rotten he’d always had plans for the great event, a pony and riding lessons being top of his list. My Dad would have loved this year Cheltenham, especially seeing the female jockeys partaking. I couldn’t have been happier with the Frodon winning, as the jockey Bryony Frost (first female jockey to win a Grade 1 at Cheltenham) is in my select jockeys to follow list. The race after was also a tear jerker, in a nice way, for me, what a special win was Paisley Park for his owner Andrew Gemmell trained by Emma Lavelle. It’s like the Grand National we’re always enthralled not only with the race but also the little stories behind the winner and connections. The ‘Sun Racing Stayer’s Hurdle’ had its own story, Paisley Park nearly lost his life to colic two years ago but, returned to full health, and has remained unbeaten in five starts. Andrew is one of the greatest advertisements for racing, how he enjoys not only racing but all sports across the world. Not allowing being blind from birth stop him thoroughly enjoying himself. His excitement was infectious. Then just as we thought it could n’t get any better along comes Siruh Du Lac in the 4:10 ridden by Lizzie Kelly the third woman to ride a winner this week. The first female jockey winner this week at Cheltenham was Rachael Blackmore winning the Listed Race ‘Close Brothers Novices Handicap Chase’ by 16L on board ‘A Plus Tard’ on the first day Lizzie was the first female jockey to ride a Grade 1 winner over fences with Tea For Two. Well, what an exciting time we live. Things can only get better and I’m now looking forward to the Grand National. Will we be having a female Jockey winner? I hope so and then perhaps we can start thinking about dropping the female bit and call them what they are ‘JOCKEYS’. Although I am reminded that the first race on the Uttoxeter card today Saturday 16th March is the ‘Abacus Decorators Lady Riders’ Handicap Hurdle (Female Professional Jockeys/Amateur Riders’ Race’. Nine go to post with Woulduadamandeveit currently favourite (time of writing). Over the last ten years, I’ve suffered, if that’s the right phrase, with high blood pressure. I go to the doctors for a check up knowing full well that the doc’s going take my readings, gasp and tell me I’ve got to do something about it. During each visit, I’m told that I have a 25% of a stroke or heart attack. Being a bit of an optimist, you have to be to follow the horses, one year I was feeling a little devilish and just said: “ That’s good then doc!” she looked at me and looking puzzled saying: “I’ve just told you to have a 25% chance of a Heart Attack in the next five years!” “yes I know, does that mean I have a 75% chance of not having one” I sniggered, she was not amused. This made me think about my 2yo spreadsheet going on my records. 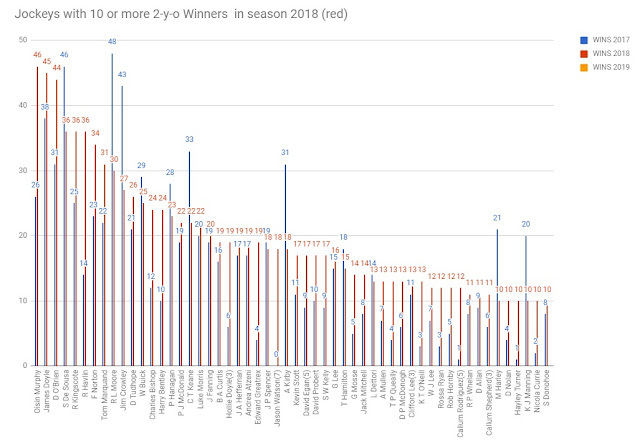 In 2018 there were 1413 races and 25% (348) of them were won by the top five trainers: Mark Johnston, Richard Hannon, A P O’Brien, Richard Fahey and Archie Watson (who was a surprise as he had 52 winners against 15 in 2017). The top ten Trainers had 38% (531). The top twenty Trainers had 54% (761). My spreadsheet listed a total of 228 trainers. I know it’s a big week ahead. 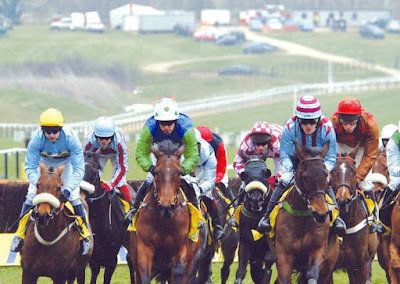 You only have to look at the leading racing web sites: Racing Post, Irish Racing, At The Races & The Sporting Life and others to realise all eyes will be on Cheltenham - Tuesday 12th to Friday 15th March. I believe it may be easier to find winners than at Cheltenham (I have very disappointing returns at the big meetings). There’s been a lot said lately about ARC, the prize money and trainers/jockeys boycotting meetings. It's gone a bit too far for my liking, especially as you read about the bullying etc. The owners should have the last say as to where and when their horse's race. 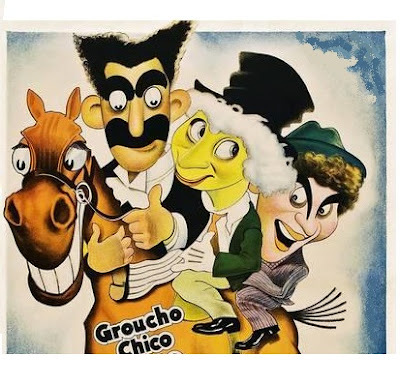 I’m glad to see the Arc courses above are putting alternate races on to Cheltenham. I wonder how many, what are so-called small trainers, have runners and capitalise on prize money whilst all the big guns are elsewhere. However, I do look for the odd horse from the big stables attending. I’ll be concentrating on Sedgefield, Market Rasen, Huntingdon and Fakenham which nicely gives me one meeting a day if I want to make a bet. Also, making it a bit easier on the studying. I shall be leaving the All-Weather as a backup. What will I be doing Tuesday to Friday? Then Saturday, I have the Midlands Grand National to savour at my local track Uttoxeter, where I have been a member for years. It’s that time of year again, everyone has their opinion on the outcome of each race. I find it very difficult to find winners at the big meetings, probably because each Trainer/Jockey/Owner are chasing as many winners as they can. Which makes it very competitive. I’m not saying they don’t try all the time, well it is ‘Cheltenham after all’ We, the lads and lasses of our local, have a little competition. Easy rules, just pick as many winners as you can, and take the sp for each, the one with the highest sp total at the end of day four is the winner. As we know there are 28 races in total so not an easy task. In the group, there are several who just choose a cloth number all through the meeting. You may not agree with this method, however, the chap who had the good fortune to choose No.5 picking up the prize. On this occasion, I did quite well to end up joint second, but disappointed that pure luck beat me. That’s the game though, you pays your money and takes your chance. This year, as I don’t tend to bet at the major fixtures, I’m going to have a little competition on my own, for each race:- I’m going to choose a horse based on my interpretation of the form (haha you serious) I might bet on it! I’m going choose one horse that just jumps out at me (pin-picker) funny name etc. I’m going to choose a cloth number (well you never know) very disappointed if this wins. I’ve put the first 10 cloth numbers in a hat and chose one, so it looks like I’m having No.4 for every race. I know some of you will be thinking about how will we know what your selections are apart from number 4. I’ve created a spreadsheet and will supply as required. This is purely for fun and please note I don’t give or sell tips. Also if you are like me and believe in luck or more to the point bad luck I apologise for listing your selections. A gambling rule I’ve always stuck to (that makes no sense) is. After I have written my selection down and walking to the betting window, I hear anyone mention my horse I throw the slip away and don’t have a bet. You may laugh but this little foible has saved me plenty, its as though someone is looking out for me. I like to think it’s my Uncle Bill. Thank you, Eric, for forwarding a poem written by your wife, Mrs C. Arnold. 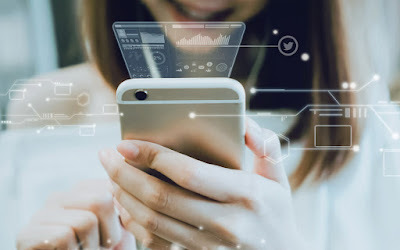 There are more systems than enough how or which one do you choose to use. When asked what is the best system to use for winner finding on horse racing. My reply is “the Best one has, and will never, be seen!” Honestly, would you find a system ‘that works’ then go and tell someone even for money? You know it would soon be broadcast everywhere. 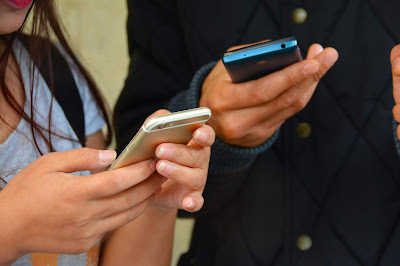 I worked with a chap who people confided in on other matters, because of his inability to keep a secret he was known as “Radio Dave” Also the more punters and layers knew about this, Midas system, there would be no value anywhere. So far in my fight off between systems and tips, systems have been on the canvas in the first round. Can it make a comeback, Looks exhausted with these opening blows. In earlier rambles I’ve mentioned Uncle Bill, well he had a system simple but he did quite well out of it. (I don’t understand how there’s no logic to it) He would use the Daily Mirror, look at the form in the race card and choose the horses with place form in the last three outings e.g 032 finished unplaced, third, second. He would list these and check if any of them was listed second in the betting in the probable SP. If he found one ‘Bet On’ otherwise no bet look another day. You know as well as me form 032 tell you nothing about the quality, how many runners it was up against, distance, going, and over the jumps any that fell at the last fence. Quite a few systems use the form in them. No! systems were not able to get up after this last blow, technical knockout! Looking favourite to win this competition after round one, however not all plain sailing, Oh that’s another sport, anyway let's get back to Tipsters. They are everywhere, all the racing pages have their experts ready to give you advice on why this should do well and win. They also provide their Nap and nb selection. Nap (derived from the card game Napoleon) indicates this is the tipster’s most confident selection of the day. nb = “Next best” and indicates another selection that the tipster rates highly. Newspaper tipster is on a hiding to nothing really as they have to choose one horse for each race, we all know they aren’t going achieve that. In days gone by mention the name tipster and it conjures up an image of a man in a raincoat wearing trilby binoculars around his neck, standing outside the racecourse entrance with little brown envelopes. Today is a very different picture with the internet just type in “Tipsters” and see the outcome. When I did this the first site listed was OLBG (online betting guide) worth a look just to see just how many tipsters there are. The Racing Post has a tips table (looking at Naps) listing their Naps Table and also a Press challenge listing all the daily papers Naps. I am not a tipster and would advise anyone thinking of using one fully check it out, there are some very unsavoury people out there. Well in the final round I declare Tipsters over Systems the winner. This is has been somewhat an awkward topic I have chosen to write since this is a sister website to others that offer tips on horse racing! With Cheltenham approaching, a week of high interest followed by The Midlands Grand National (Uttoxeter). 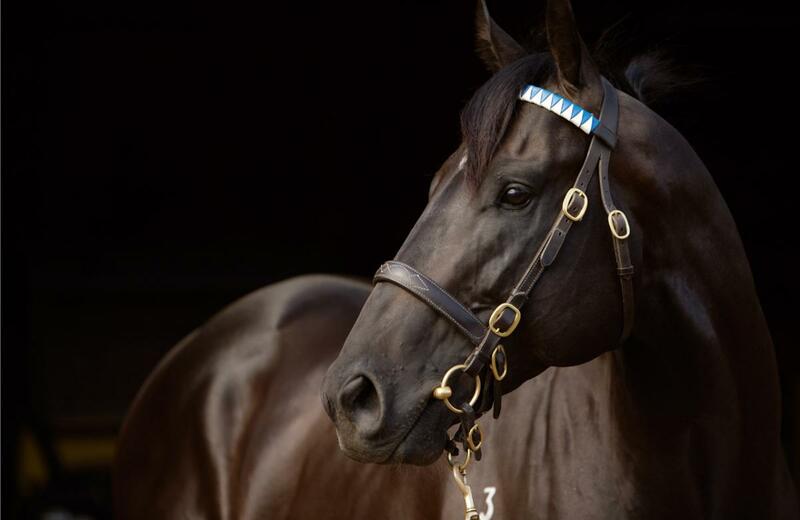 Why on earth would you write about 2yo sires? It’s a good question and I can see bewilderment on your faces. However, as my main interest is the 2yo season I have to prepare in advance. Now I’m getting on a bit, I find if I don’t note it or write it down, what was I saying, oh yes I forget things easily. That’s why I use all means of reminders. Of the above list, I will follow some more closely than others. One first season sire progeny I am particularly looking forward to seeing on a racecourse and having influence are Karakonties. Others of initial interest are Gleneagles, Gutaifan, Night Of Thunder and Muhaarar It will be also interesting how many Due Diligence progeny A P O’Brien decides to have if at all any. Please note: Although these are my thoughts this early they can change, that’s what’s so good about the unknown, every day you find or realise something new. Having a chat with my granddaughter, Olivia, the other day when her phone bleeped. She had received a text message from one of her friends. I asked her who and what was so important to interrupt our conversation (phones are so ignorant they just bleep and people immediately answer them, in a normal conversation when a third person wants to interrupt they would say ‘Excuse me’). The look on her face was a picture. What’s it all mean granddad? It was my turn to laugh! There has never been so much form available to us punters as today. The racing papers/websites are full of it, almost to the point of being too much. Then there’s my favourite - video results. If you really want to find those winners you just have to put the time in. One of my great interests are the 2yo races. I mentioned earlier I started reading the weekly returns, in 1986. I started logging all 2yo runners. I used the index card method and using a shoe box to hold the cards and index dividers. At the end of the season, I had 3 shoe boxes full of returns with the form (as above) for each runner, listing: Horses Name, Trainer, Meeting (course), Date and of course the Form. I did this for two seasons, too time consuming, and then started listing the same on a spreadsheet but not the form. I just made a comment instead. It has changed over the years as I have been more selective in what I’m looking for to give me an edge. 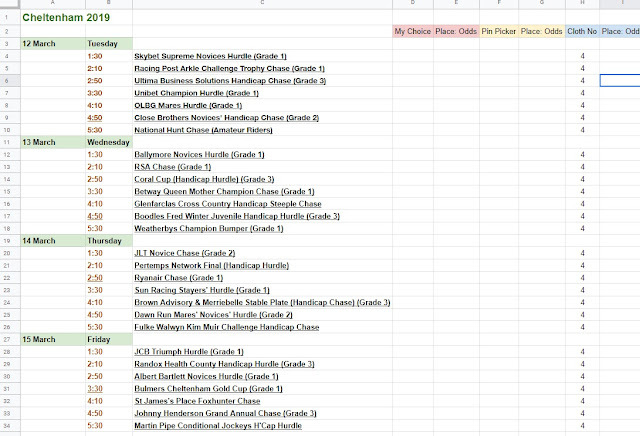 I still list all the 2yo’s winners and use the results in my spreadsheet to track Sires, Trainers and Jockeys (see examples). I shall be writing more on my interpretation of form reading in the future and explaining in more detail. See the charts, below. Although the above is my attempt at humour, it is also a fact my wife is more likely to find big priced winners than me. So why isn’t she writing the blog then, I hear you ask, the simple answer is she’s not been asked. As we all know the name of the game is to get winners, there are several ways to try to achieve this. Being in the know or close to a stable/trainer etc. You can purchase tips. You can follow a system. I have a system I change it every day. Allow me a little indulgence as I tell a true tale. I mentioned my uncle Bill in an earlier blog. In my late teens and just old enough to place my own bets I had a little bit of luck and won a few quid. I was over the moon and was beaming from ear to ear when I walked into the front room at home. My mother asked me why I was so happy, of course, I couldn’t wait to tell someone of my good fortune. After which my mother gave me the look, you all know what I mean by “mothers look!” then said: “Oh our Eric you’re not going like my brother Bill gambling your money away” it was at this point she just said. I can give you a system as good as any you may see or buy. Well, I was all ears. Well, she just went on on with the different proviso. I was taking it all in and thought this sounds good. When my mother grinned, winked then said: “Don’t put your money on unless the fourth letter in the name is a T” That about sums up my trust in systems. One who uses high stakes and can afford to (probably professional). Two, then gamblers like me who uses small stakes. This brings me to something I was told way back in the days when I knew less than now, 33% of races at each meeting are won by favourites. Some courses this can be as high as 40%. If you can determine which races might be won by the favourite it will help you find the chance of a big priced E/W in the other 67%. Easier said than done. 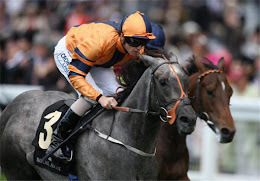 As a low stake player, I look at the races where non favourites have a chance. At the beginning of this little ramble, I mentioned my wife and her uncanny methods for winner finding. She would tell you herself its all in the ‘name’. 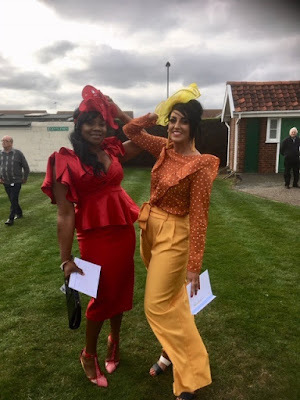 It’s surprising how many friends going to the races for the first time ask me for a winner. You know how difficult it is, so I just tell them to go along have a good time, don’t go mad, and only have a small bet on each race. I also tell them I can almost guarantee they will have a winner. It’s surprising how many people do well when they don’t know much about racing. It’s only when you put all the calculations in that it all goes pear-shaped.